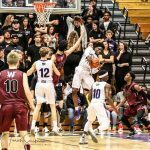 Wednesday, February 15, 2017 7:00 PM Lexington High School AWAY 71 West Ashley High School HOME 66 Game Recap Wildcats close 2016-2017 season. Friday, February 10, 2017 8:30 PM West Ashley High School AWAY 61 James Island HS HOME 60 Game Recap West Ashley sweeps James Island in the season series. Tuesday, February 7, 2017 7:30 PM Fort Dorchester High School AWAY 51 West Ashley High School HOME 54 Game Recap Wildcats WIN! Tuesday, January 31, 2017 7:30 PM West Ashley High School AWAY 46 Summerville High School HOME 52 Game Recap Wildcats fall.